Handy stopped by for “Happy Hour” yesterday. Or should I call it “Handy Hour?” Only the best for my guests. 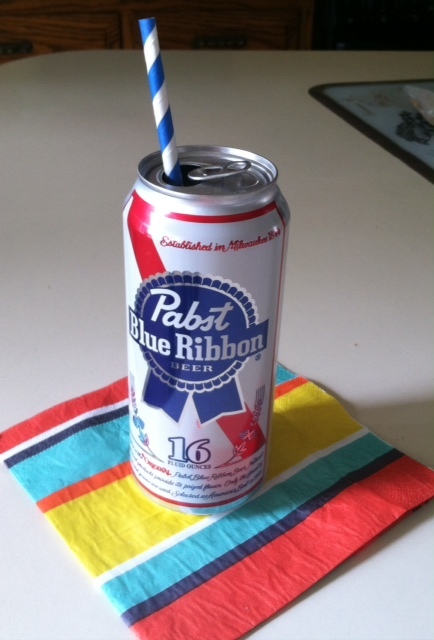 This entry was posted in Minimalist and tagged Pabst Blue Ribbon beer. Bookmark the permalink. I am not a drinker but, Pabst? For all my gentlemen friends.